My name is Nadia Felsch and I’m a Nutritionist (BHSc) who consults globally from Sydney. 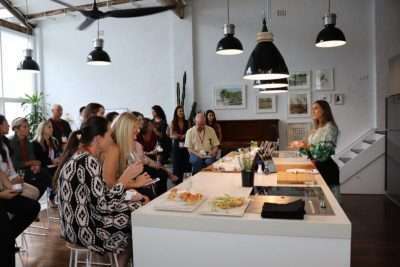 Calling out nutrition myths, providing valuable food education and delicious recipes is my main jam, which I do during client consultations, working online, on social media @nadiafelsch and also via workshops. 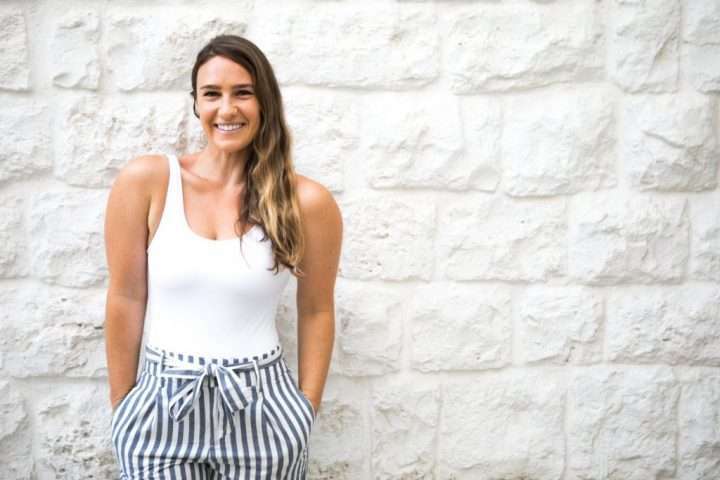 I’m also the founder of a wholesome baking mix brand – Wholefood Society and on a personal front enjoy travel with my husband, playing with my 2 x mini sausage dogs, café time with friends and working out. Do you have any tips for weight loss that you feel are underrated? Weight loss is predominantly thought of as what to eat and/or what not to eat. What gets left out of the equation more often than not however is the behavioural element. This is something I work with clients to transform because focusing on your own behaviour – learning from past weight loss efforts, observing what doesn’t suit you and staying curious – is the key to lasting change. It allows for small, incremental and lasting change to be made. If you were working with somebody looking to lose weight who loved fruit, would you put any limit on their fruit intake? I don’t believe that black and white limits work well for humans because behaviorally we all want/think/obsess about things we can’t have. Rather than a direct limit on fruit in this case, I’d be looking to ascertain what; if anything; the individual is not eating should they be consuming excess fruit. In other words if there’s lots of one thing (fruit), what else are they missing out on? This focus is one that I’ve found that sets the groundwork for valuable nutrition education where required such as the result of too much of anything and allows for mutually agreed upon, effective dietary modifications that aren’t so black and white. Thoughts on the non-diet approach and HAES? The aim of HAES is to increase an individual’s likelihood to take care of themselves by promoting self-care and tackling the stigma of overweight and obesity. And that aim is one I fully support as opposed to weight stigma and shaming in order to produce weight loss and health in an individual. HAES inherently looks to modify behaviours and that’s something I feel can have a lot of power. Successful clinical application of HAES is another aspect all together. Professionally, the non-diet approach encompasses how I elect to work with clients. Considering their dietary habits and behaviours, weight history and dieting history is key. This individual consideration goes on to allow for effective nutrition education and mutually agreed upon priorities and behavioural shifts. It’s success is reliant on a client being guided to learn things themselves and not on a provided meal plan, diet or generalised concept. Do you have any go-to snack recommendations that you find yourself repeating consistently? – These choc-protein balls made from nuts, seeds + dates. Do you have any philosophies that you feel are separate from the majority of other dietitians/nutritionists? Individualisation – We’re all completely unique and that needs to be thoughtfully considered from an historical and current perspective. Simplicity – We are complicating food and nutrition so much, yet barely anyone eats enough vegetables or drinks enough water. The simple stuff is so great and where real change can be experienced. Is there a “problem” that you try to solve through Instagram, or any particular way you attempt to provide value? I like to think that I provide a voice of trusted reason. Dispelling nutrition b/s. Breaking down science into useful chunks. Providing delicious, easy recipes that anyone can make. Being myself. How much focus should people be placing on the gut-microbiome and its effect on overall health? Where would you place it in terms of overall priorities? 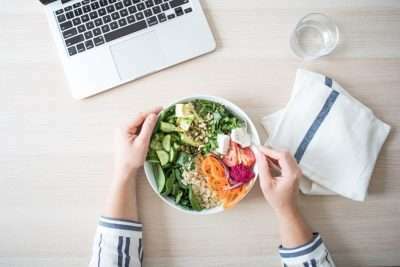 It’s a fascinating and emerging area of science in our field for sure and over and over, one which we see has an enormous impact on our overall health. Should it be at the forefront of an individual’s health priorities? Perhaps. Like everything it’s entirely individual and dependent upon what else is going for them. My concerns regarding the gut-microbiome is its buzzword aspect and the sensationalised headlines that attribute gut health to extreme actions and miss the key advice. The key advice being that a diverse intake of plants and regular intake of diverse fibre sources is the most effective method to feed the gut microbiome. Focusing on the enormous value of gut-feeding, simple food (that also has other benefits) is where I feel most of us could focus on as opposed to buying the next “big thing” in gut health or looking for supplementation. For instance, this brekkie of avocado on fibre-enriched toast is what I personally enjoy most mornings and also recommend to clients as gut-loving deliciousness! Is there anything you would like to add to wrap it up? – Don’t believe everything social media influencers say. – Veggies, fruit and water are superfoods. – Learn to question and challenge things that you hear about nutrition. – Pay a professional nutritionist/dietitian to guide you – not Dr Google. 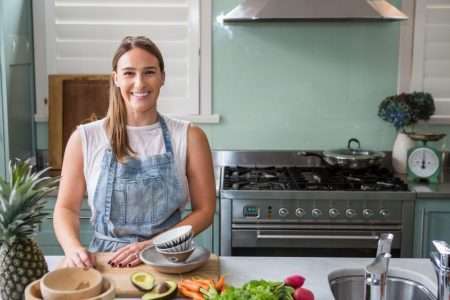 Nadia Felsch is a Clinical Nutritionist (BHSc), creator of the Wholefood Society line of Wholesome Baking Mixes, two successful online programs; the Path to Wholefoods and Wholefood Society Online, and is also a recipe developer, photographer and writer. Her relatable approach to REAL food is about nourishment, enjoyment and ultimately, eating freedom. Always about keeping food and nutrition – simple, delicious, nutritious.